SpeechMike Premium Touch is the latest innovation from Philips. 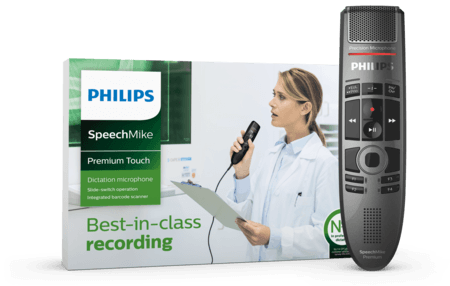 It comes with a premium decoupled studio quality microphone, antimicrobial housing and a motion sensor for the clearest speech recordings. The included SpeechExec Pro software with integrated speech recognition allows you to turn your voice to text quicker and more accurate than ever before.